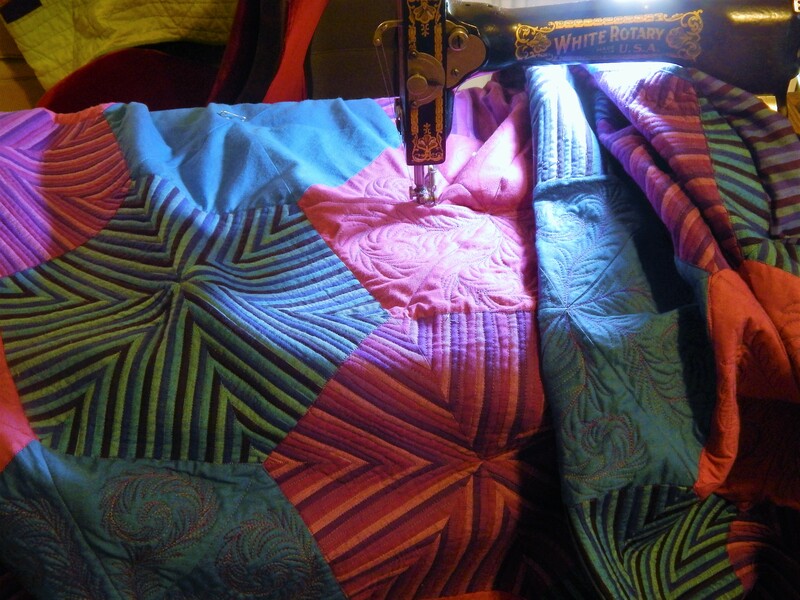 Yesterday I took a day off from hand quilting. I decided to do some piecing. I do so much hand work It takes me a while to get back to the comfort zone with the machine. 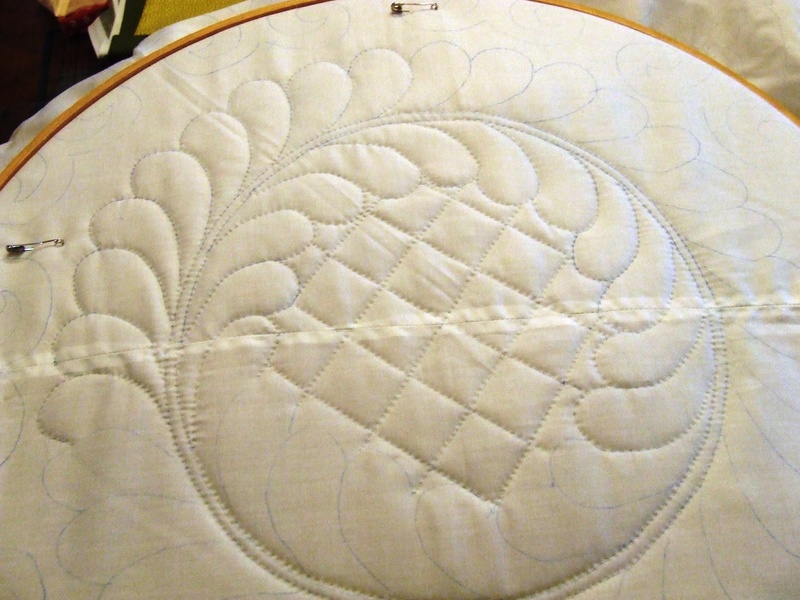 This entry was posted in Quilts and tagged piecing, Quilting, Quilts. Is this a Kenmore machine Tim? It looks like one my mom used to have. 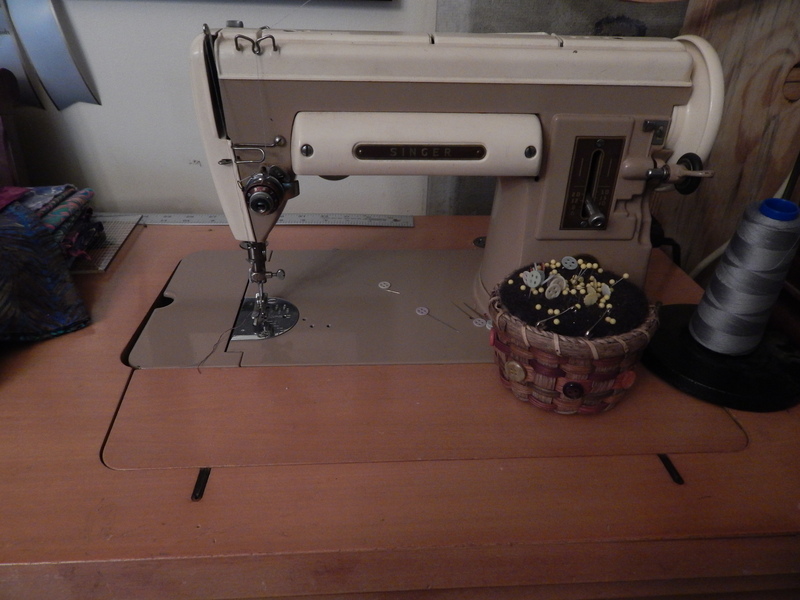 How fantastic!I am lowtech myself!I learned in a singer treadle machine,if maintained these machines last forever!My partner is fascinated by the workings of the sewing machine,and has started collecting them…….Thank you again for your wonderful blog Tim,pats to Teddy! 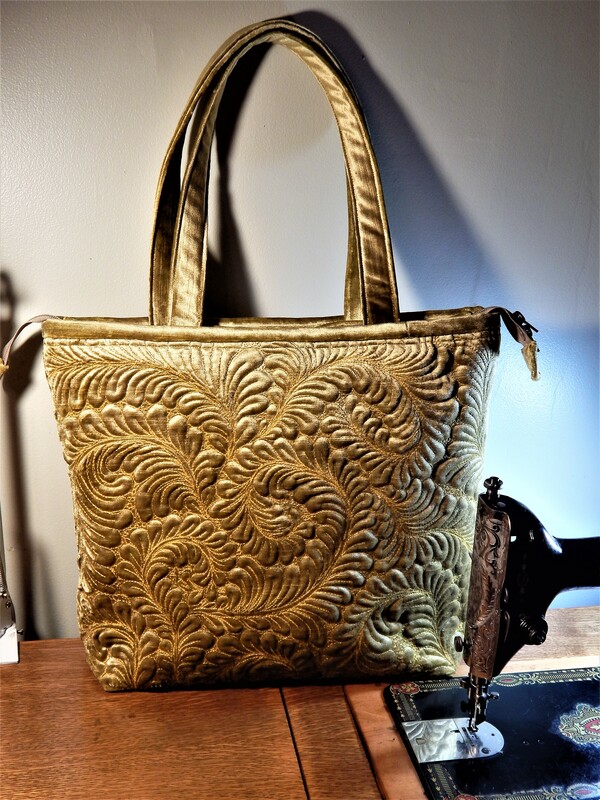 some day I want to give a treadle machine a try! 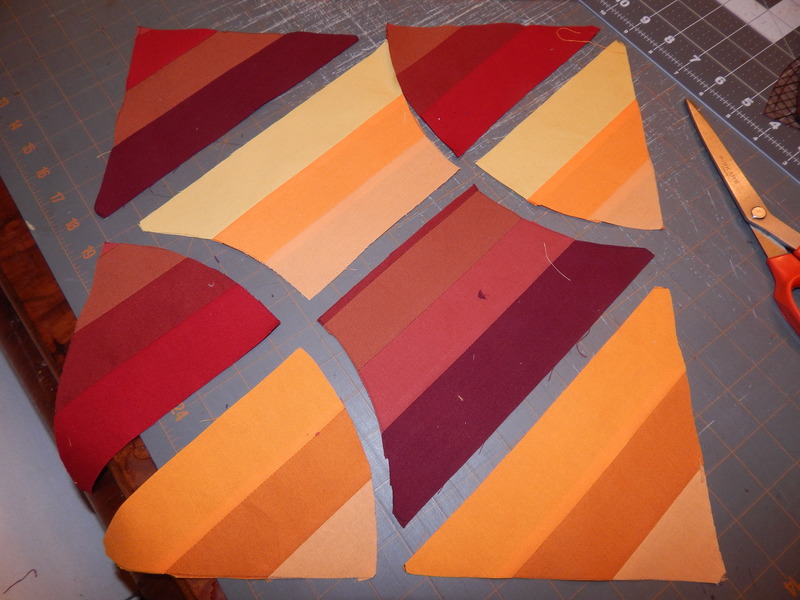 Hi Tim, I am curious to see how you cut the pieces from your pieced units. Loving Teddy’s fall look! 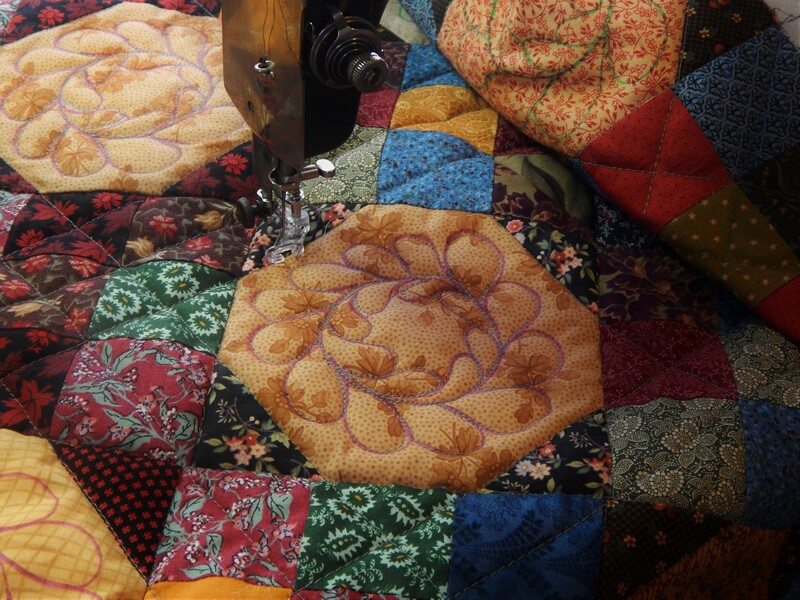 You know Tim, it doesn’t surprise me that after working on your whole cloth quilt, beautiful as it is, that you have chosen to work on something bright next. I’ve done that too.. It’s the ole brain that speaks “let me perk you up with some real color”. Teddy looks handsome as usual! That is amazing! Not exactly my style, but amazing none the less. I know how that happens! If I even have a plan, the end results are almost always different. I prefer an organic approach. Just get started and see what the fabrics want to be when they grow up and play together. I love this project! 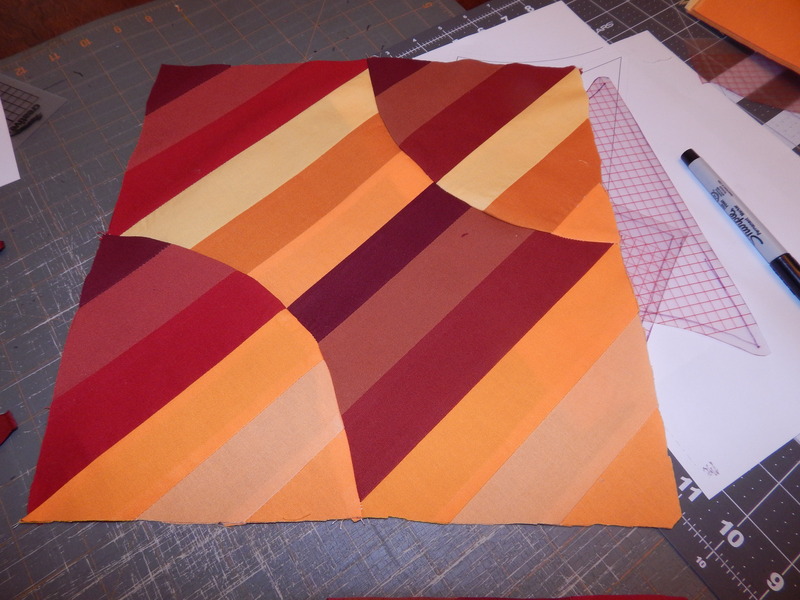 I’m posing a challenge to my quilt group to make a quilt using only solids. 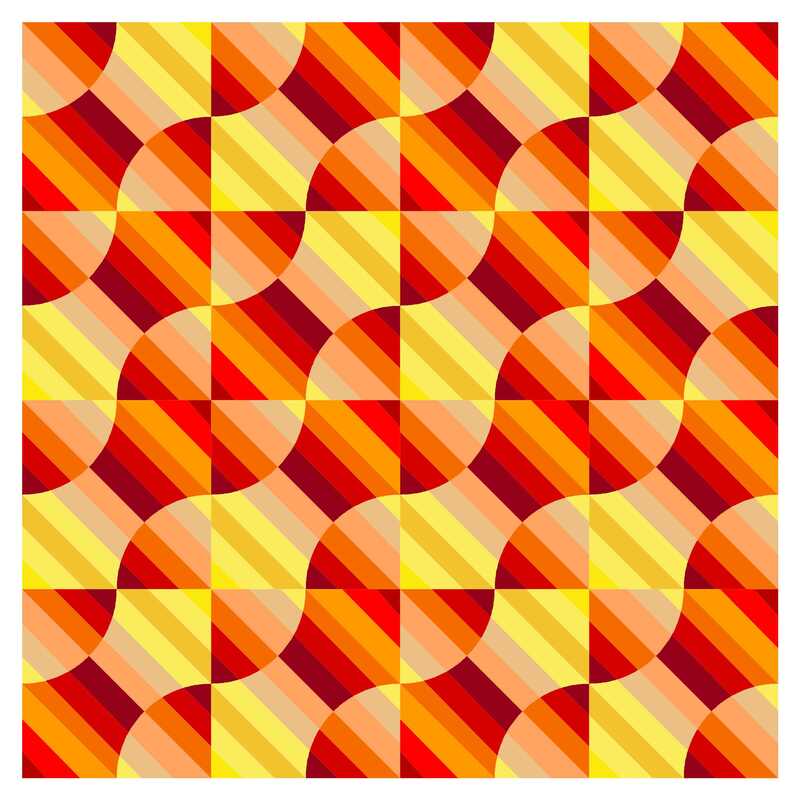 I think I might try doing something like this for my quilt. As always – Teddy is so handsome. I must confess, Tim, that as much as I like your work, Teddy has my heart. He is the handsomest, a very stylish gentleman. And I love the way he selects his accessories, nothing left to fortune. Is that a 301A ? This is going to be stunning Tim. I have just ‘got into solids’ myself. Can’t wait to see how you hand quilt it.